It is a trite to opine that no parent should ever experience the abduction of a child by any terror group under whatever guise. In this light, I rejoice with the Dapchi community over the return of their girls. I believe the return of these girls is a huge relief given the torment their parents may have been subjected to, no thanks to the negligence of the failed Nigerian government and its security operatives. It would be recalled that about a month ago, precisely on Monday, February 19, 2018, the world came to a total shock about the abduction of some 110 girls from the dormitories of Government Science and Technical College, Dapchi. This reprehensible development, a scary deja vu of the events of Chibok in 2014, elicited condemnation and sympathy from far and wide. Ironically however, unfolding events would later lend semblance of a craftily scripted melodrama to what was viewed as an act national tragedy perpetrated by the depraved Boko Haram terrorist. First, out of superfluous desperation to cover up, there was confusion created by government officials as the country made efforts to come to terms with the abduction. This engendered a climate of mixed feelings within the entire troposphere. While some wallowed in disbelief, others thought the whole event was orchestrated. 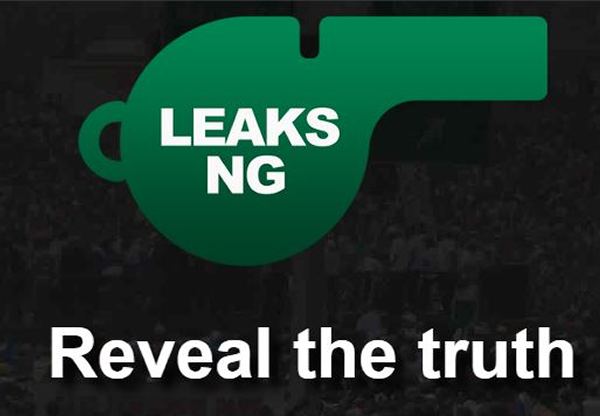 Then came the remiss occasioned by the Yobe State government issuance of a press statements which was later retracted, and the scandalous assertion by the federal government in its blame trading nature that some powerful forces were out to embarrass it – perhaps a subtle attempt to hoodwink Nigerians about its complicity. But, in the wake of the preposterous Chibok schoolgirls’ kidnapping, it was expected that the Nigerian government and its security forces would have set up measures to avoid a repeat. Yet intriguingly, and perhaps for reasons best known to them, they chose to slumber. This attitude of the government nay the security operatives towards the avoidable Dapchi episode therefore not only represented a new low for the country’s march towards a secured nation, but also the circumstance surrounding the abduction raised burning questions and drew the cynicism of sceptics that it was an attempt by the government to score cheap political points, especially with 2019 elections round the corner. And rightly so, given the fact that the Nigerian military made considerable gains by pushing deep into Boko Haram enclave and recapturing areas once under its control, it beggars belief that some days to the Dapchi abduction, same security forces were withdrawn from checkpoints leading to Dapchi, giving the so called Boko Haram insurgents an unfettered access to and from Dapchi village. In any serious nation with functional government, the security forces would have tracked the movement of these terrorist, and later unleash a fatal blow on them. But again, that is what a serious national would do. And don’t be surprised to wake up to the news that the government and security forces lack knowledge of the haven of these insurgents! In all of these notwithstanding, what lends verisimilitude to the conspiracy sentiments is the difficulty in trying to deconstruct and rationalize the events in the aftermath of the abduction and the comical return of the Dapchi girls – the vows that the girls will be back in few weeks by officials of government, the alleged directive by the same government for the security operatives to halt any aggression, the dancing, celebration and hailing of the insurgents by the village folks. These added to the fact that the government looked the other way despite monumental revelations on the complicity of the security forces cement the conspiracy theory that the abduction was discreetly stage managed by agents of government for political expediency. And true to the hypothesis of the proponents of the foregoing theory, hours after the release of the kidnapped girls – an event already known in official circles – became public, APC without any scintilla of modesty came out thumbing its chest suggesting that it has succeeded where the PDP had failed. What a tragedy! But considering that no amount of crisis management – not even the PR transfer process – would have rescued APC government from ignominy if negotiations or rescue operations had failed – that is if indeed the abduction was genuine, the question is asked: why would any government elects to embark on such a perilous adventure to the extent that it mortgages the lives of innocent girls on the altar of politics? It is definitely difficult to assume that any government worth its salt would consider such a costly gamble. And, even though the prevailing sentiments are yet unfounded, I must, in truth, admit that the suspicious body language of government coupled with the desperate nature of Nigerian politics waters and nurtures the trending theories a great deal. And for government to repudiate the presupposition of this conspiracy theorists, there is the need for it to come clear on how the release of the schoolgirls was negotiated and actualized. Also essential is the necessity for government to expose and bring to book those profiteering from the un-abating insecurity in order to deflate grapevine accounts that it’s neck-deep involved in this national embarrassment. Anything outside these will only embolden the conspiracy narrative. Because it sounds comical that Boko Haram will dissipate its time, energy, and risk the lives of its warriors to kidnap these girls only to return them a month later without government making any financial commitment. This is no time for deception and cover up. Nigerians, the true owners of sovereignty, need to know the truth! Beyond the trending controversies however, an eyewitness account published by TheCable that the military at a checkpoint in Dapchi fled on sighting approaching Boko Haram trucks is a depressing one. it’s necessary the government takes a serious approach, one that is bereft of political undertones, in matters relating to national security if it is genuinely concerned about bringing finality to the nagging insecurity in the country.